--Charles H. Spurgeon (1834-1892) English preacher. 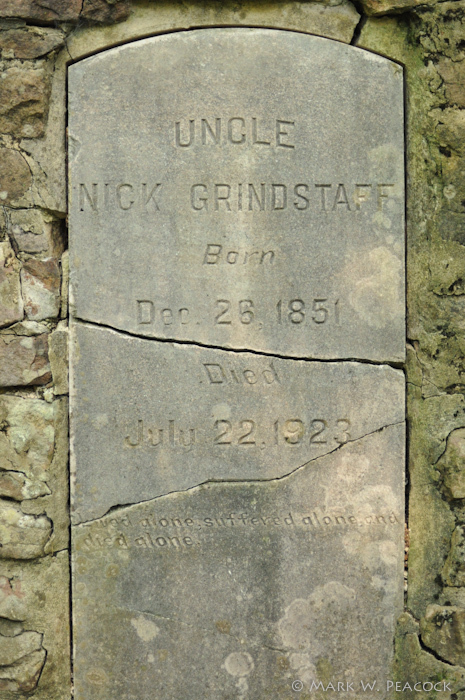 Here, alone atop Iron Mountain, lies Uncle Nick Grindstaff, born December 26, 1851 and died July 22, 1923. 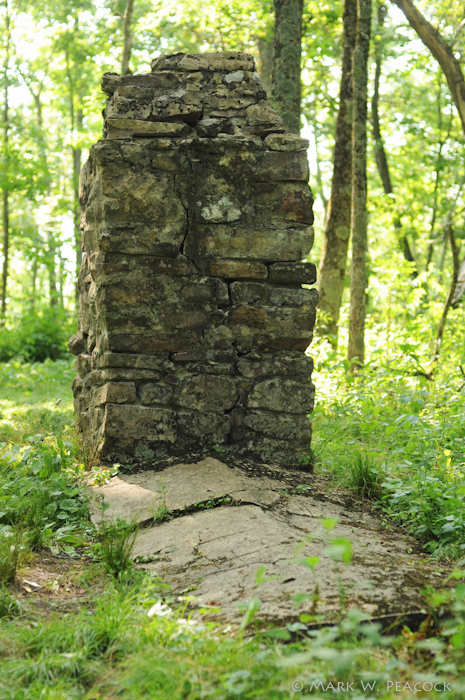 For forty years he lived alone on this ridge between Stoney Creek and Doe Valley, on the border of Carter and Johnson Counties. It's not exactly known what led him to become a hermit. The story of his life seems shrouded in mystery. Orphaned as a small child, he was raised by relatives and had the reputation of being a smart, hard working, "model" young man. When he became an adult, he inherited the family farm and made a go of it for a few years but eventually sold it and headed out west to Missouri. It's not exactly clear what led him there or what really happened. 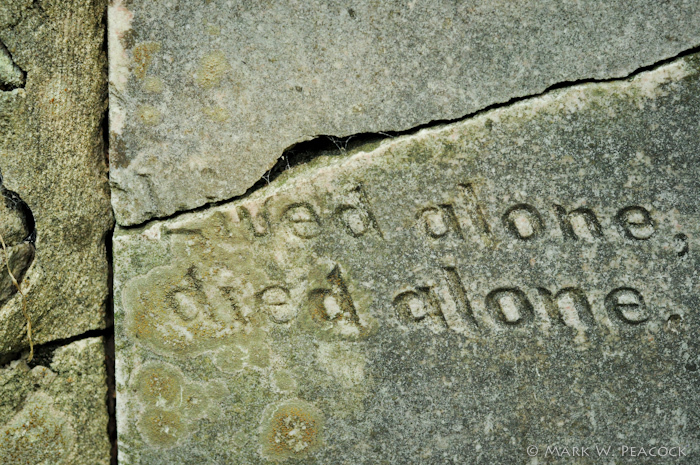 Some say he married and his young bride soon died. Others say his love married another. Still another account said he was beaten and robbed and stripped of everything he had. Whatever befell him, Nick never recovered. He moved back to east Tennessee and for the next forty years lived as a hermit on Iron Mountain. Twice a year he would come down to the local general store for meal, bacon and other supplies... and to get a haircut. His only companions on the mountain were his dog "Panter", a cow he used as a pack animal, and his pet rattlesnake (!). 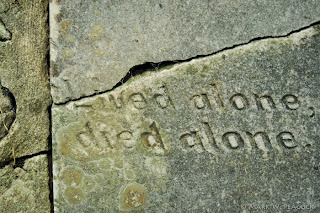 "He lived alone, suffered alone, and died alone"
But the legend and mystery did not stop with his death. 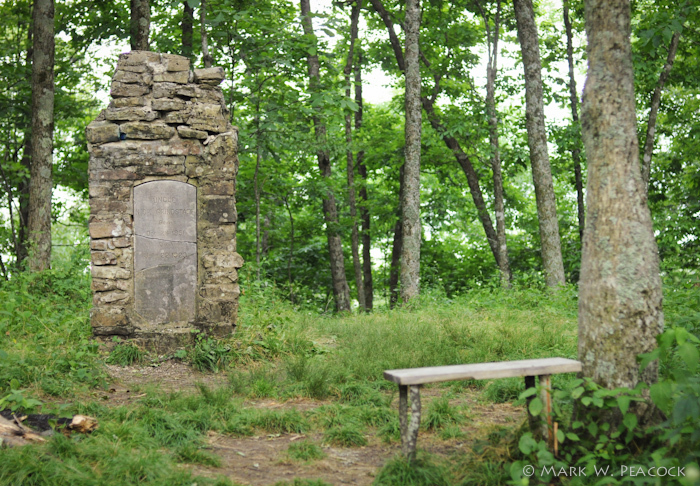 It's said that years later, Appalachian Trail hikers who camped near the grave reported hearing the mournful, haunting howls of a dog in the night. More on Uncle Nick here, here and here. Directions: From Highway 19E in Elizabethton, take Stony Creek Road (Highway 91) toward Shady Valley, TN for 18 miles to a parking area for hikers at the intersection of Highway 91 and Cross Mountain Road on the right. (If you enter the village of Shady Valley, you've gone 3.5 miles too far). Map here. Standing at the AT parking area, if you were to cross the highway, you'd enter the old Osborne Farm and head toward Damascus, VA. 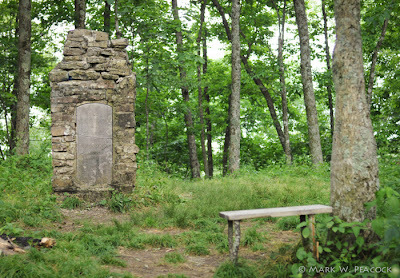 Instead, cross the Cross Mountain Road and take the AT for 3.6 miles to the grave. It sits back maybe 30 feet off the trail to the right, but is hard to miss. 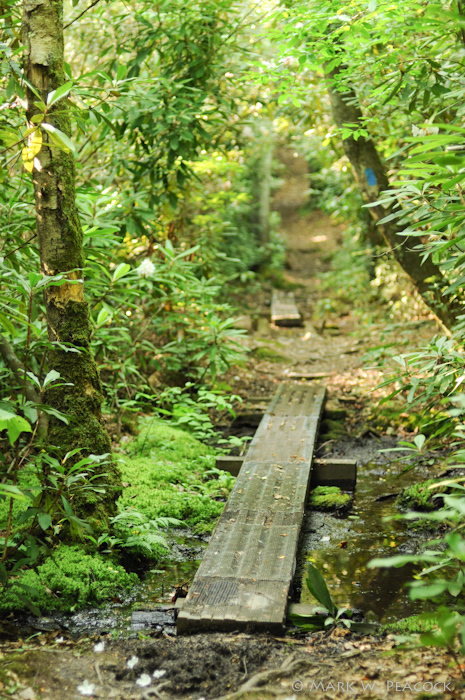 The first mile of the trail has a few muddy bogs in it, but thankfully, there are walkways in these areas. Overall, it's a fairly gradual climb up the mountain, with the exception of a short, but very steep section that will get you huffing and puffing. In the winter months, there are lots of great views of Doe Valley from this section of the AT. used to live at the foot of the Cross Mountain. heard about Uncle Nick all my life. He was a brother to my gr-gr-gr-gr-grandfather , Nicholas Grindstaff. I used to live up on the Creek at the end of Duggar Branch Rd. Built an underground house there. The fellow I sold it to apparently didn't understand the engineering behind it and built a house on top of it. Oh well. 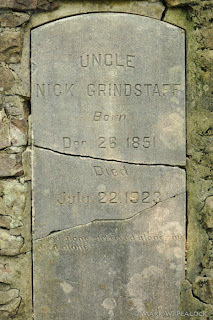 Uncle Nick was my great great great great uncle. There’s a book written about him.